Could Florida’s Brightline go national? Fully autonomous vehicles (presumably SAE Level 5) will achieve regulatory approval and be on the market in 2020. By 2030, those AVs will provide 95% of all [surface] passenger miles of travel. Those 95% will all be in shared vehicles (Mobility as a Service), rather than in personally owned AVs. These AVs will all be electric, and will last 500,000 to 700,000 miles on their initial battery pack. These assumptions are shared by virtually no one actually working on AVs, whether at technology companies or traditional auto companies. The past year has seen a growing number of articles explaining that full autonomy (on all kinds of roads, in all kinds of weather, etc.) is turning out to be a much harder problem than many researchers expected. Most expect gradual introduction of AV features in the next decade, with full Level 5 not being likely until at least 2035 or beyond. I find the assumptions underlying the three scenarios to be reasonable, and a number of implications for highways and travel emerge. First, even in the high (“disruptive”) scenario, only 35% of the light vehicle fleet will be AVs by 2040. So that means our roadways and highways are going to have to deal with a mixed fleet for many decades. That is far different from popular media visions of a near-term all-AV future. Second, S&P suggests that the early impacts of Level 5 AVs will be felt most by transit agencies and parking enterprises. Between 2020 and 2030, S&P expects an increase in urban traffic congestion, due partly to the continued growth of ride-hailing. (Incidentally, a new paper by Alejandro Henao and Wesley E. Marshall, “The Impact of Ride-Hailing on Vehicle Miles Traveled,” projects that “ride-hailing leads to approximately 83.5% more VMT” than would have existed had ride-hailing not emerged.) As connected AV market penetration increases beyond 2030, S&P expects “lane capacity could increase by 5% to 7% by 2030-2035 [due to] an increase in platooning.” That would partially offset the impact on highways from increased VMT due to ride-hailing and increased personal travel by those who cannot drive today (very old, very young, and disabled). HOV lane users in California are up in arms over a change in how “Clean Air Vehicles” are treated. As of January 1st, 2019, about 220,000 of them will lose their legal privilege of driving solo in the HOV lanes. Only those with newer, cleaner vehicles, will be able to get the new red decal that allows them to use those sometimes-faster HOV lanes. I say “sometimes faster” because California HOV lanes are out of compliance with the federal standard that they must operate at 45 mph or better 90% of the time. Caltrans data for 2016 show that they met this standard only 32% of the time. There is one underlying reason: the HOV lanes are far too crowded during most peak periods to provide much of a speed improvement over the general purpose lanes. And that stems from two ill-advised policy decisions: giving out far too many Clean Air Vehicle decals and retaining the two-person minimum for all other vehicles. The change made by the state legislature last year, making those decals available only to newer electric and CNG vehicles, will reduce the overcrowding problem, but I haven’t seen any estimates of how much. There is no move in sight to increase the carpool requirement to HOV-3, though operators of express toll lanes (ETLs) in both Southern and Northern California have called for that change, at least for their ETLs. They want to make this change because during portions of the peak period, some ETLs in both parts of the state are closed to toll-paying vehicles altogether, once they get overloaded with HOV-2s and currently-permitted Clean Air Vehicles. And that is an absurd outcome. As I have written here previously, the transportation plans in both the San Francisco Bay Area and the greater Los Angeles metro area include large-scale networks of express toll lanes. Near-real-time variable pricing is the best (and only) way we know of to keep such lanes free-flowing during times of very high demand. But that pricing can only perform this seeming miracle if most or nearly all the vehicles desiring to use the ETLs actually have to pay the variable price to do so. Exempting large numbers of vehicles from paying, so as to promote other policy goals (carpooling/fam-pooling and cleaner air), destroys the power of pricing to control traffic flow. If current policies remain in effect as the planned ETL networks are built, there is a very high risk that they will not work. Other metro areas are going from HOV-2 to HOV-3 as they move into implementing ETLs. And a small but growing number are dispensing with HOV exemptions altogether, on the grounds of increased pricing power and the ability of genuine car-poolers to split the charge, thereby still being better off by using the priced lanes. Let’s hope California policy-makers can figure this out before they build ETL networks that fail to provide meaningful congestion relief. 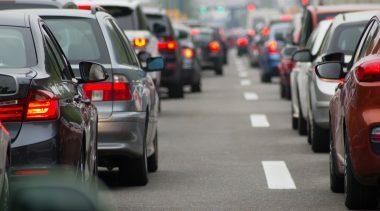 The American Community Survey data on vehicle ownership and commuting mode choice were released last month by the U.S. Census Bureau. The headline finding was that the fraction of those working mostly at home nationwide—5.2%—now exceeds the national average for those commuting by transit—5.0%. This has been true of a growing number of medium and large metro areas for quite a few years, but this is the first time it’s been reported on a national average basis. The “other” category includes taxi and ride-hail companies, and although the latter have displaced a lot of taxi service, the national average for that whole category is still not much more than 1%. The largest group of people now in the active workforce is the Millennial generation. They were supposed to be giving up car ownership and getting around by walking, biking, transit, and ride-hailing. But it’s difficult to see much evidence of those alleged trends in the overall statistics (though figures for individual cities may show different patterns). The other fascinating feature in the new ACS data is the stability in vehicle ownership, albeit with a slight rise in the fraction of multi-vehicle households and a resumption in the trend (post-recession) of an ever-smaller number of zero-car households (from a high of 9.3% in 2012 to 8.6% in 2017. Three-vehicle households have increased from 19.8% in 2005 to 21.5% in 2017, with two-vehicle households decreasing slightly from 38.2% in 2005 to 37.1% in 2017. So far, at least, the United States is still a car-owning society. Big-data firm INRIX last month released its 2017 Global Traffic Scorecard. It reports data on the extent of traffic congestion in 1,360 metro areas worldwide. Of the world’s 10 most-congested metro areas, five are in the United States. The non-U.S. members of that elite group are Moscow (2nd most-congested), Sao Paulo (4th), Bogota (6th), London (7th), and Paris (10th). When I reviewed the 13 U.S. metro areas that made the INRIX top 45 most-congested, some very interesting patterns emerged. Here is my summary of the data. San Francisco 5 4 -1 79 21% Med. Atlanta 10 9 -1 70 17% Med. Washington 18 15 -3 63 20% Med. Chicago 22 19 -3 57 17% Med. San Diego 45 47 +2 48 19% Med. The extent of pricing is my subjective assessment of the fraction of limited-access facilities that are either toll roads or variably priced managed lanes. When I used the percentage of peak period that is congested, I found that the average for those in metro areas rated high on pricing was 12.3%; for those rated medium, the average was 18.8%; and for those rated low (or none), the average was 23.4%. The other point that leaps out of the table is the change in rank of Dallas and Houston, both of which moved significantly lower in the league table of most-congested metro areas. Both have a growing fraction of their expressways that are tollways, and both have expanding networks of variably priced managed lanes. Also striking is that Portland, with just one-third the population of Dallas, has nearly the same average congested hours per commuter and has nearly double the percentage of peak period hours that are congested. Perhaps this explains why Portland is on the verge of a decision to implement pricing on several of its freeways. Could Florida’s Brightline Go Nationwide? 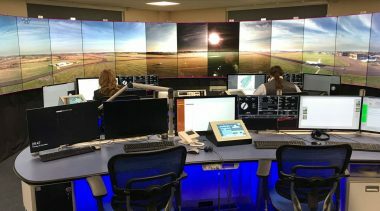 An article in Florida Trend quoting Brightline as looking nationwide for other corridors that are “too far to drive, too short to fly,” citing prospects like Atlanta-Charlotte, Chicago-St. Louis, and Dallas-Houston (May 14th). An unsolicited proposal from Brightline to Florida DOT to build a Phase 3, from Orlando to Tampa. Florida Gov. Rick Scott promised an RFP that would permit Brightline and others to submit competing proposals (June 22nd). Announcement that Brightline has acquired Xpress West, a startup that tried to finance a $7 billion high-speed train between Victorville, CA and Las Vegas, but was turned down for about $5 billion worth of federal RRIF loans (Sept. 18th). A summary of these developments in The Economist, which suggested that Brightline might have trouble getting permission to operate on existing freight railroads, a problem that did not arise in Florida (Sept. 22nd). Exploiting the synergy between high-volume passenger stations and adjacent real-estate land value. One clue to a possible evolution in Brightline’s model has emerged in discussions of the Tampa-Orlando line and the Xpress West project. 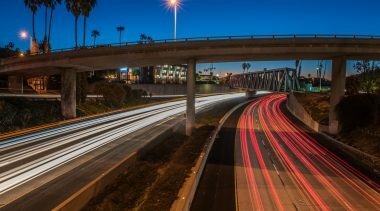 In both cases, the company is talking about leasing right of way along existing Interstate highways: I-4 in Florida and I-15 in California. As I pointed out to the Los Angeles Times reporter who interviewed me about the Xpress West acquisition, the downside of this for future mobility is the extent to which adding a rail line precludes needed future expansion of those Interstates, whether for growing truck traffic or increased personal travel. What economists call the “opportunity cost” of giving up scarce highway right of way needs to be taken into account by DOTs asked to sign long-term rail leases. To its credit, in the Xpress West corridor Brightline is talking about diesel propulsion and about not building costly tunnels beneath the mountains between Victorville and Las Vegas. Yet even at half the estimated $7 billion cost of the original group’s plan, its ridership projections were hard to believe. There is loads of inexpensive airline service to Las Vegas from the five airports conveniently located around the greater LA area. And as for driving, the worst part of the trip is from people’s origin in the LA metro area to about as far as Victorville. After that, I-15 is a relatively uncongested straight shot to Las Vegas. There are still railroad lines between Los Angeles itself and Las Vegas; Amtrak ran the Desert Wind passenger train on them until ending the service in 1997. So there is an alternative to serving Vegas from Victorville and using the limited right of way along I-15. Perhaps once Brightline does serious traffic and revenue studies, it will consider that alternative. As economic activity and vehicle miles traveled increase in U.S. metro areas, many central cities are facing an increase in traffic-related accidents and fatalities. The unfortunate knee-jerk reaction is for politicians to accept nothing less than zero injuries or fatalities total. While aiming for zero incidents is a laudable goal for every city to target, creating strict anti-mobility policies to reach that goal can jeopardize economic activity. Further, achieving zero incidents requires modifying behaviors that policy makers may not have the power to change. The template for the no injuries and fatalities movement is Vision Zero. Vision Zero originated in Sweden in the late 1990s when the Swedish parliament accepted it as the official road policy. Sweden has one of the lowest annual road fatality rates at 3 per 100,000 people. Further, as road fatalities have been increasing in the United States, they have been falling in Sweden. Vision Zero is different from traditional safety plans because its central premise accepts that humans will make mistakes. Instead of trying to change human behavior so that drivers actually follow road safety laws, Vision Zero creates a system where humans are protected if they make mistakes. Since the majority of fatalities in most central cities are pedestrians and cyclists, the number-one priority of Vision Zero activists is significantly reducing automobile speeds. Speed is a major contributing factor in traffic fatalities. Striking a pedestrian at 31 mph results in a fatality 80% of the time, but striking a pedestrian at 19 mph results in a fatality less than 10% of the time. Vision Zero sets the speed limits based on the type of infrastructure. This details the different environments. Safety is an important aspect of any transportation system. There are certainly circumstances where transportation officials don’t weigh safety as much as they should. For example, Virginia’s otherwise laudable Smart Scale program for transportation project selection weights safety as low as 5%, depending on the metro area. One of the creators of Vision Zero, Matts-Ake Belin, noted that the hardest part of implementing Vision Zero in Sweden was political economists influenced by the “utilitarian mindset.” Yet that underlying principle is how the US DOT and other agencies make policy. Yes, some folks place a higher value on cost-benefit analysis than others. But everybody bases at least some of their decision-making on cost-benefit analysis. Think of your last trip to the supermarket. There may have been one or two products that you intended to purchase. But after seeing bananas priced at $5.00 per pound, you decided to go to a different supermarket or buy apples instead. Yet in Vision Zero, no price—not $100,000 per pound or $100,000,000 per pound—would cause you to reconsider. That way of thinking is just bananas. Also unsettling is Vision Zero’s underlying paternalistic approach. All transportation system users should be paying attention to where they are going. By creating a forgiving environment, Vision Zero encourages poor behaviors because there are limited consequences. Irresponsible behaviors such as texting, driving while drowsy, and lack of situational awareness have increased in some cities after Vision Zero implementation. The most important question is whether Vision Zero works, and the answer is no. Zero traffic-related deaths have not occurred in any major city in the world since the program began. In part that’s because the goal is unrealistic, which is what the political economists afflicted with the “utilitarian mindset” told the Swedish government more than 20 years ago. There are no peer-reviewed articles showing that Vision Zero works. Pedestrian deaths have declined in New York City, a Vision Zero pioneer. However, deaths of bicyclists, motorcyclists and drivers rose. After spending $27 million, Los Angeles deaths declined only 6% between 2016 and 2017, not the 20% experts expected. Further, U.S. cities are not implementing Vision Zero as originally defined. For example, Washington DC is enacting $1,000 fines for speeding, supposedly to improve safety. Yet that’s not how Sweden designed Vision Zero. Sweden installed traffic cameras as a deterrent. The idea was that over time people would change their behavior. Drivers did not receive harsh traffic fines, just warnings. Therefore, some are wondering if Vision Zero is about safety or more of an excuse to make driving more difficult (and enrich city coffers in the bargain). Some of the cities implementing the policy have set unrealistic goals for reducing single-occupant driving. Los Angeles wants to reduce the share of single-occupant vehicles to less than 50%. Washington DC has set a goal of 25%. Neither of these is at all realistic. But if the goal is to punish drivers, Vision Zero could be a useful tool. Vision Zero is a failed policy from a paternalistic government that takes millions of dollars to implement and never reaches its goal of zero deaths, in part because its goal is completely unrealistic. But Vision Zero does make life harder for commuters and those delivering freight. Yet this is the policy that many U.S. cities want to implement. ITS Summit 5C Event, Oct. 7-10, 2018, Jacksonville, FL, Hyatt Regency Jacksonville (Baruch Feigenbaum speaking). Details at: http://www.its5Csummit.com. IBTTA Annual Meeting, Oct. 14-16, 2018, Baltimore, MD, Baltimore Marriott Waterfront (Robert Poole speaking). Details at: https://www.ibtta.org/events/86th-annual-meeting-exhibition. 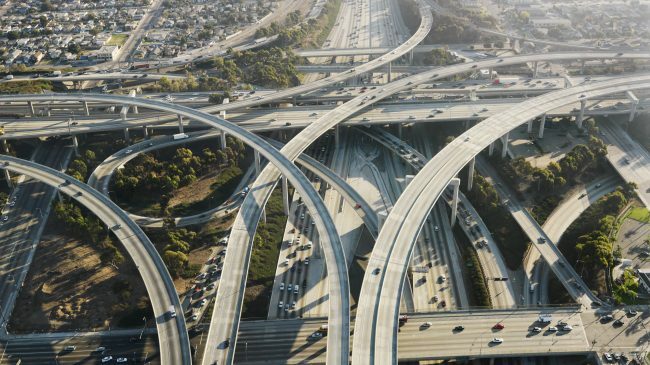 Rethinking America’s Highways, Nov. 1, 2018, UC-Irvine, Irvine, CA (Robert Poole speaking). Details to come. Rethinking America’s Highways, Nov. 1, 2018, Chapman University, Orange, CA (Robert Poole speaking). Details to come. New Toll Road Approved in Miami. Thanks in part to strong support from Miami-Dade County Mayor Carlos Gimenez, the County Commission voted Sept. 27th to approve a $1 billion extension of the tolled Dolphin Expressway. 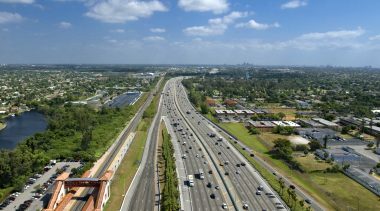 Called the Kendall Parkway, the 13-mile route would provide congestion relief to many of the 600,000 people who live in the southwestern suburbs of Miami-Dade County. It will expand the network of toll roads operated by the Miami-Dade Expressway Authority, and will be financed by toll revenue bonds. Clear Thinking on Mobility as a Service. Analyst Blair Schlecter last year produced a three-part series on autonomous vehicles, Part 1 of which is on Mobility as a Service. Though seeing benefits in MaaS, he notes that “the fact that AVs can pick up passengers all day without a driver does not in itself present a compelling reason for a person to shift from ownership to sharing. Rather, a number of other considerations, including convenience, safety, speed, and overall cost likely will shape consumer decisions about whether to own or share.” The title of the first article is “Case Studies in Autonomous Vehicles, Part 1: Shared Use Vehicles and the Challenges of Multiple, Intermediate Stops.” Part 2 continues these thoughts, dealing with passengers with non-routine needs. All three are on the NewGeography.com website and are well worth reading. Indiana Finance Authority Approves Truck Toll Increase. On Sept. 20th, the board of the Indiana Finance Authority, which oversees the long-term P3 lease of the Indiana Toll Road, approved ITR’s proposed 35% increase in tolls on large trucks, bringing those toll rates into the same range as on other tolled Interstates in the Midwest. The negotiated deal will result in $1 billion paid to the state over three years for investment in transportation infrastructure, in particular the completion of (non-tolled) I-69. Major P3 Traffic Tunnel Approved in Chile. The $940 million Autopista Americo Vespucio Oriente tunnel has received environmental approvals to begin construction. The 9.1 km tunnel is the northern segment of 14.5 km worth of tunnels to close a missing link on the tolled ring road around capital city Santiago. The team of Spain’s Sacyr and Australia’s IFM Investors has a 45-year toll concession for this project. The double-deck tunnel will have three lanes on each level. Above, at ground level, there will be bus, bicycle, and pedestrian lanes. Debate Over Paying for Hartford Mega-Tunnel. In a public hearing last month, officials from Washington State cautioned Hartford, CT leaders not to expect massive federal funding for the proposed project. Former WashDOT Secretary Paula Hammond noted that federal funds paid for only 30% of Seattle’s new $3.3 billion double-deck tunnel. But Rep. John Larson (D, CT) held out hope for major federal funding of the proposed 2-mile Hartford tunnel, aimed (like Seattle’s) at replacing an aging viaduct on portions of I-84 and I-91 in Hartford. Not mentioned in news reports on the meeting was the potential of toll financing and variable pricing. “Why Can’t New York Control Its Infrastructure Costs?” That’s the title of a devastating article by Connor Harris in the Summer 2018 issue of the Manhattan Institute’s magazine, City Journal. The article builds on recent investigative articles in the New York Times documenting that major cities overseas, including London, Seoul, and Tokyo, are building new subway tunnels at a small fraction of the cost per mile of New York City projects. The article indicts a failed “New York transportation establishment” that if not thoroughly reformed, will replicate this irresponsible cost performance on the much-needed Gateway tunnels project. First Phase of New I-11 Opens in Nevada. In August, Nevada officials and FHWA Deputy Administrator Brandye Hendrickson took part in the grand opening of the first 15 miles of Interstate 11, which is planned to link Las Vegas with Phoenix—two of the largest U.S. metro areas without a direct Interstate connection. China-Type Highways for India? LinkedIn recently carried a thoughtful article by investor Harsh Gupta titled “India Needs China’s Expressways.” While not endorsing the questionable Chinese Belt & Road effort, Gupta compared the huge network of limited-access highways that have been implemented in China over the past two decades with the still rather pathetic state of major highways in India. He suggests using Google Maps to compare travel times between pairs of Chinese cities and pairs of Indian cities to illustrate the impact of the latter country’s primitive highways. $150 Million Cline Avenue Bridge Aims for 2020 Opening. The privately owned toll bridge across the Indiana Harbor and Ship Canal in East Chicago, IN is well along in construction. Developer/operator United Bridge Partners told a forum in Gary, IN last month that the company is producing pre-cast bridge segments at the pace of three per day, with a scheduled opening date early in 2020. The bridge replaces an obsolete bridge that was shut down in 2009. The initial span will have one lane each way, but plans call for twinning that span in future years when traffic warrants doing so. First P3 Concession in Michigan Moving Forward. Michigan DOT has announced the team of Aecom and John Laing as the preferred bidder for a $575 million project to upgrade I-75 in the Detroit metro area. Financial close is expected by the end of the year. The 30-year DBFOM concession will use availability payments to compensate the concession company over the life of the agreement. The five-mile project is part of an 18-mile project to modernize that stretch of I-75. Poole Capitol Hill Book Presentation Available Online. On Sept. 7th, your editor was the main speaker at a well-attended Capitol Hill briefing in Washington, DC organized and hosted by the Cato Institute. The focus was the new book, Rethinking America’s Highways. Thoughtful commentary was provided by Prof. Jonathan Gifford of George Mason University, and Cato’s Chris Edwards served as moderator. Cato posted a video of the session at https://www.cato.org/events/rethinking-americas-highways. That’s the question asked and answered by Jeff Davis, editor of Eno Transportation Weekly on Sept. 4th. Davis reviews studies by the Congressional Budget Office and by various academic researchers over the past 15 years. 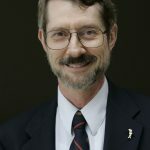 Davis’s overall conclusion might be summed up as, “often it does not.” The most recent evidence is a CBO working paper released at the beginning of September, concluding that “Researchers have found evidence that state and local governments reduce spending on highways from their own funds as federal grants increase.” The CBO paper is “Fiscal Substitution of Investment for Highway Infrastructure,” and is on the CBO website: https://www.cbo.gov/publication/54371. Bloomberg Calls for Highway Charging Stations—But Ignores Interstate Rest Areas. 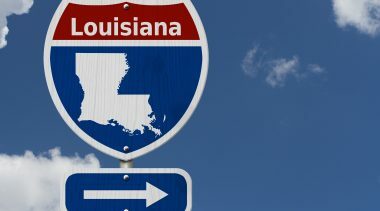 In an otherwise thoughtful op-ed published on Sept. 16th, Michael Bloomberg referred to the Interstate highway system as a great achievement that risks becoming an “aging relic” due to not keeping up with changing technology. What’s needed, he wrote, is charging stations for electric vehicles. But the most customer-friendly location for those facilities is at the “rest areas” of long-distance Interstates. Bloomberg had a perfect opportunity to call for enabling this by urging repeal of the 1956 federal ban on “commercial” services at Interstate rest areas. Nobody expects electricity to be given away at charging stations, so by definition they are “commercial.” It’s high time this policy relic from 1956 was given the axe. Arlington, TX Relies on Private-Sector Transit. After losing money on a conventional bus line, suburban Arlington (home of a University of Texas campus as well as a Six Flags amusement park) has set forth a new transit vision. It will be based on contracting with private operators of new-technology vehicles. In August, the city announced a contract with Drive.ai to operate free shuttles serving major destinations. Called Via, the service uses six-passenger vans providing on-demand, nearly door-to-door service. The vehicles are intended to be autonomous, but will initially have a safety driver behind the wheel. Once the autonomous technology has been proven and the vans can operate without the driver, the plan is to offer the service at $3 per ride. Ballot Measure to Repeal California High-Speed Rail. The sponsors of a measure on the November 2018 ballot that would repeal a recent increase in highway fuel taxes announced late last month that they were filing a new measure, for the 2020 ballot. It would halt construction of the HSR project and require any unspent funds not needed to pay off existing rail bonds to be re-directed to other transportation investment. The measure would also require all gasoline and diesel tax revenue to be spent entirely on roads and highways. Proponents will have to collect at least 500,000 signatures to qualify for the ballot. Recent public opinion polls show declining support for the HSR project in most of the state, apart from the San Francisco Bay Area. Alternative Project Delivery Highlighted by TRB Publication. The July-August issue of the Transportation Research Board’s magazine, TR News, is focused on alternatives to the conventional design-bid-build method of project procurement. Articles include case studies of how alternatives have been introduced in Colorado and Georgia, best practices in design-build, and risk-sharing in design-build-finance-operate-maintain (DBFOM) procurement. New AASHTO Executive Director. Congratulations to Jim Tymon, who was appointed the new executive director of the American Association of State Highway and Transportation Officials. Tymon, who has recently been AASHTO’s chief operating officer, was previously staff director of the House Highways & Transit Subcommittee and senior advisor to Rep. Bill Shuster (R, PA), chairman of the parent Transportation & Infrastructure Committee. NCHRP Reports on Impact of CVs and AVs on Transportation Agencies. The National Cooperative Highway Research Program has released an array of reports under NCHRP Project 20-102, with additional reports to come in the fourth quarter of 2018. Topics include policy and planning for state and local agencies, transit-specific implications, truck freight challenges, and AV legal issues. Details are available at http://bit.ly/2y8gEm4 or by emailing Ray Derr (rderr@nas.edu). Funding Transportation via Land Value Recycling. NCHRP has released a guidebook containing a wealth of information on the potential and previous use of the increases in land value brought about by new transportation infrastructure to help pay for that infrastructure. A PDF of the guidebook is available at http://nap.edu/25110. Correction to Last Issue. Joe Milazzo of the Regional Transportation Alliance in North Carolina pointed out that the North Carolina Quickpass toll transponder is interoperable with E-ZPass as well as the statewide PeachPass and SunPass systems in Georgia and Florida.